Formula 1 is on course for a head-on collision with 3M over similarities between their logos. When are two pieces of design more than just similar to one another? That's what people have been asking this week after it emerged that the new Formula 1 logo bears a striking similarity to a logo design on a pack of compression tights owned by industrial giant 3M. 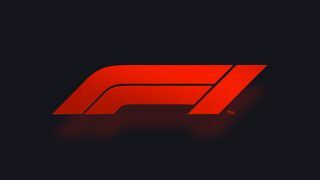 Launched in late November 2017, the new Formula 1 logo (above) replaced the world premier racing championship's old design that had been in use since 1994. In its place was the new logo, a sleek wordmark that merged the Formula 1 name into a single element that looked to the future and put the fans first. Speaking of coming first, it seems that this design was late off the starting line. Thanks to a keen-eyed Reddit user, we can now see that Formula 1's logo isn't so original after all. Take a look for yourself below. This pack of 3M compression tights has been doing the rounds online thanks to that F logo, which is made up of two parallel bars just like the Formula 1 design. Sure, the logo might not include the number 1, but that's really where the differences end. 3M, the giant industrial company behind Post-It-Notes and Scotch Tape, filed a trademark for this logo on 20 February 2017, giving it a comfortable lead on Formula 1. Not only that, but its trademark applies to territories that will directly impact on Formula 1. In a coldly worded statement, 3M responded to the online attention this story has been getting by saying: "3M filed a US trademark application for the Futuro logo on Feb 20 2017. Also, we have not had any discussions about the logo with the other party. We are looking into this matter further." The whole incident is the latest piece of negative attention to be levelled at the new Formula 1 logo after the likes of Lewis Hamilton and Sebastian Vettel criticised the design. EU authorities are in the process of deciding how to handle the situation.